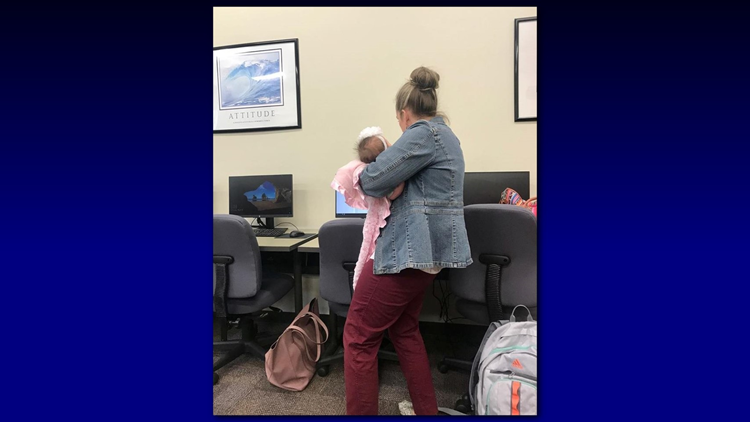 Nursing student, Natalie Norman, posted a picture of her professor, Dr. Julie George, caring for a student's sick baby while the student takes a test. A Facebook post about a professor at the University of Texas at Tyler-Palestine campus has gone viral. UT Tyler Palestine nursing student, Natalie Norman, posted a picture of her professor, Dr. Julie George, on her Facebook page. The post shows Dr. George caring for a student's sick baby while the student takes a test. 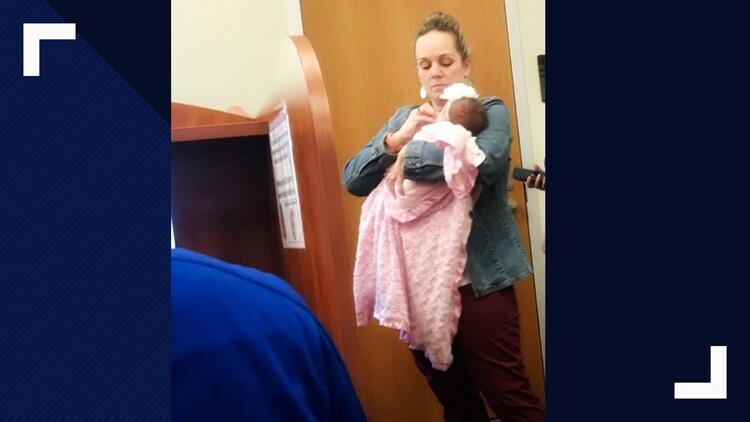 "There are teachers that will shake their head at you for working while going to nursing school and switch plans at the last second because they don't value your time or commitments; and then there are teachers like Dr. George that will hold your sick baby when you can't get a last minute sitter so that you can take a test," said Norman. "So grateful for teachers like her who really want to see us succeed. Not to mention she held a Christian nurses' meeting right before this and prayed for all of us."